In a market where most vodka companies are growing and expanding through new flavor options, it’s a surprise to see Absolut take a complete left turn with what could be a game changing vodka. 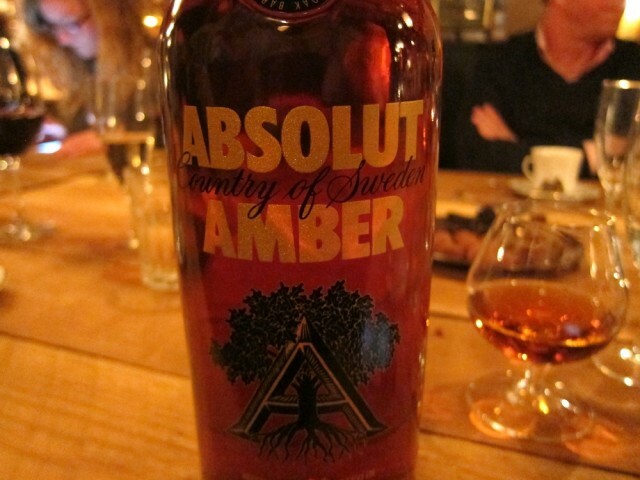 Absolut Amber is an oak aged vodka. 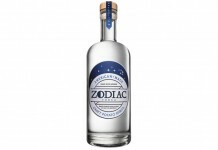 Distilled in the very same way as the base Absolut (through giant rectification column stills to 96% ABV or 192 proof), the vodka is aged in and on a variety of oak barrels and oak chips (as many as 8 different woods). Absolut Amber spends at least 6 months with a variety of wood including first use white American oak barrels, Swedish oak, and ex-bourbon barrels. In addition to the time in barrel, Absolut Amber spends time with oak chips in it including a variety of roasted American and French oak chopped down barrels. In total, Absolut Amber comes into contact with 8 different varieties of wood. It’s a little bit of a mad science experiment from a company that doesn’t have much experience with aging spirits. Absolut Amber (80 proof/ 40% ABV, price TBD) is deep amber in color. The spirit has no added color to it but has a color equivalent to a spirit that has spent a considerable amount of time in oak. This could be because Absolut Amber comes in contact with so much wood in its short 6 month aging cycle and its extremely high barrel entry point, which could be the highest barrel entry of any aged spirit on the market. The result of Absolut Amber’s time in oak is incredibly apparent on the nose, which is quite oak forward. The nose is reminicent of many of the small craft American whiskies which have been aged in a small barrel. The oak note is slightly raw and unintigrated. In addition to oak on the nose there’s also sawdust, toffee, roasted pecan, allspice, and dried bitter orange. There’s a lot going on in the nose but the elements aren’t playing together with any cohesion. Although the nose carries a strong oak spice, the distillation is pitch perfect and there are no vapors or burn from the nose. If the nose were sweeter it would be possible to confuse Absolut Amber with a lightly aged rum, like Baccardi Gold. The entry for Absolut Amber is lightly sweet and slightly creamy with butterscotch and toffee leading the pack. After the initial slightly sweet notes, the oak begins to take over. As with the nose, the flavors here assemble rather than integrate, so you’re left sorting through a lot of different oak notes rather than exploring well integrated complexity. At the end of the midpalate, things begin to get very spicy. All the rich and sweet notes from the entry dissipate and a strong oak and pepper spice charges forward. This spice drives the finish which ends up being remarkably vodka-like with just a slight exhale of oak. The interplay between the oak and the spice on the finish is interesting. Absolut Amber suffers from many of the same issues that we’ve seen with small craft spirits that are pushed to age too quickly. There simply is no replacement for time, and Absolut Amber’s time with oak is too short and too strong to develop the complexity of flavors and flavor integration that is clearly possible here. The idea of oak aging a vodka isn’t a new one, but there aren’t any brands of Absolut’s magnitude in this space. The big question is where exactly this spirit will fit. Is it intended to be an entry into the brown spirits world for the vodka drinker? Is it supposed to be a lighter alternative to whiskey? A competitior to Canadian or Irish Whisk(e)y? Absolut Amber’s position in the spirit world is unclear. We didn’t have an extensive opportunity to mix with Absolut Amber, aside from mixing it with Coke. Unfortunately the union isn’t as ideal as it is with a rum like Bacardi Gold or a lighter whiskey like Jack Daniels. The strong spice from the midpalate and the cacaphony of oak notes in the nose just don’t fit with Coke. Absolut Amber is a testament to the growth and importance of aged spirits in the marketplace. Just a few years ago it would have been unimaginable for a major vodka company to age their spirit. Throughout the years, Absolut has shown its proficiency in capturing citrus notes in vodka and they’ve brought these sensibilities to Absolut Amber. Unfortunately flavoring and maturation are two completely different animals. 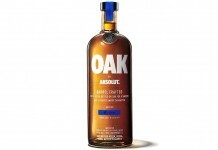 Absolut Amber is an interesting idea, but Absolut has gone way overboard with the oak and way underaged the spirit. Absolut Amber would benefit for more time in barrel and the elimination of the broken down barrel chips. This spirit needs some time to bring out some of the deeper notes from the wood, enable the flavors to integrate, and develop some complexity. More vanilla from the ex-bourbon barrels, less spice from the new Swedish and American oak, and some time to really get some balance, and Absolut Amber could be really compelling. The one thing that is really facinating about Absolut Amber is the way it manages to keep its fairly clean profile with a finish that really does show what’s possible in this space. 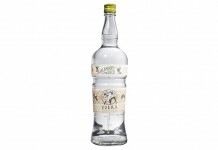 Will other vodka companies follow? It’s hard to say, but it seems quite unlikely considering the massive succcess they are currently enjoying with sweet and indulgent flavors. Absolut Amber debuts in June in travel retail (aka Duty Free) in 5 major airports, so we will post the list as soon as we have it. It’s a strategy that worked well for the upcoming Absolut Elyx, an offering we feel is lightyears beyond Absolut Amber.